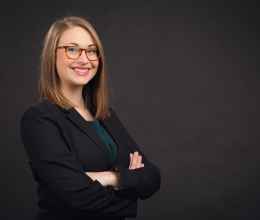 Libby Skarin is the Policy Director for the ACLU of South Dakota and monitors the progress of legislation that affects the civil rights of South Dakotans and advocates for policies that would strengthen the well-being of everyone in our state. She will present on the most important civil rights issues being discussed at the state capitol, which went into legislative session on January 8, and provide information on ways to get involved in the critical work of protecting the most vulnerable populations in South Dakota. Potential topics include criminal justice reform and transgender rights. Libby Skarin (@Libby_ACLUSD) is the Policy Director of the ACLU of South Dakota and has served in this role since 2014. As the primary lobbyist for the ACLU in Pierre and maintains a full-time presence at the Capitol during the South Dakota legislative session. As a lobbyist, Libby has overseen some of the ACLU of South Dakota’s greatest legislative victories for civil rights, including the passage of a bill ending life sentencing for juveniles and the historic gubernatorial veto of anti-transgender legislation in 2016. Currently, she is directing ACLU SD’s Smart Justice Campaign, an ambitious initiative to reform criminal justice policies in the state. Prior to joining the ACLU, Libby served as an Assistant Attorney General for the State of Iowa in her hometown of Sioux City, Iowa. Throughout her life, she has placed an emphasis on serving in the public interest and advancing both civil and human rights and has worked with the Sioux City Human Rights Commission as well as Iowa Legal Aid to provide assistance to underserved communities. She is a graduate of the University of Iowa College of Law where she was a writer and then senior editor for the University’s Journal of Gender, Race & Justice. Her undergraduate work resulted in a B.A. in Journalism and Political Science from the University of Iowa.